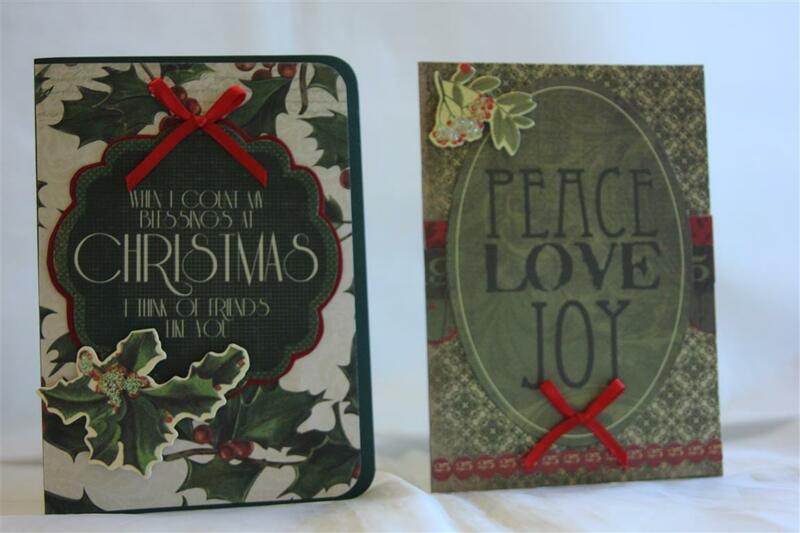 here are my finla two cards using up last years scraps. still have plenty left, and I found some xmas graphic 45, so that wil be the next lot that I make. In the meantime I have been making some little girl cards which I will get Nathan to photo this weekend. Still have some other cards to show for now though so its all good! WordPress have changed my blog a bit – have had fun working out how to post this, hopefully it works! Til tomorrow…. 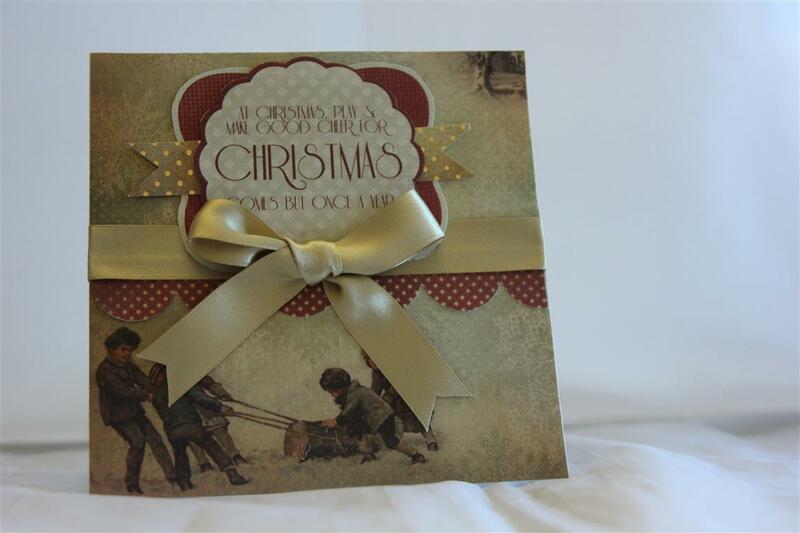 christmas cards using last years papers! 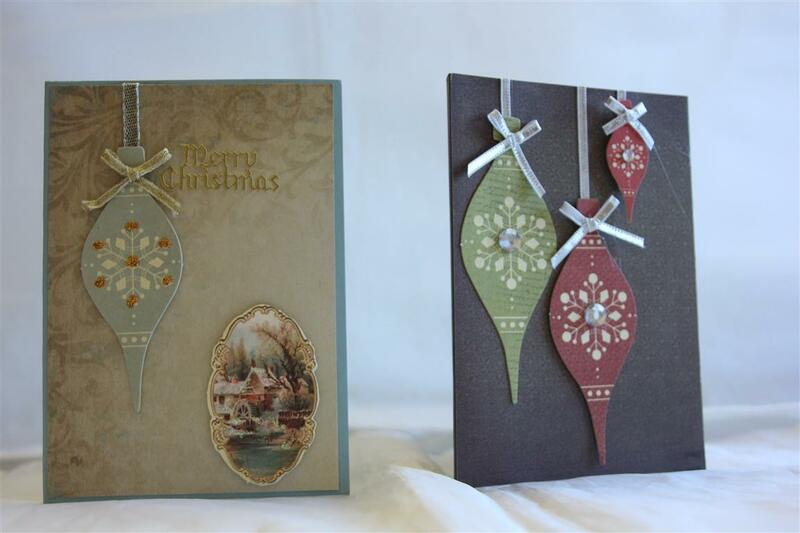 Here are some example of cards that I made with the leftover collectables from assorted kaisercraft collections from last year.I will show a few more tomorrow, and then we will leave christmas until the new collections start coming out although with so much still leftover I really have no excuse to buy them this year! The bauble cards are a favourite of mine. I haven’t spent a lot of time in the craft room this weekend, I have been busy doing some family research and have found it is very addictive! we had another power cut today so all card making plans went out of the window as I like a good light when I am creating.Til tomorrow….. 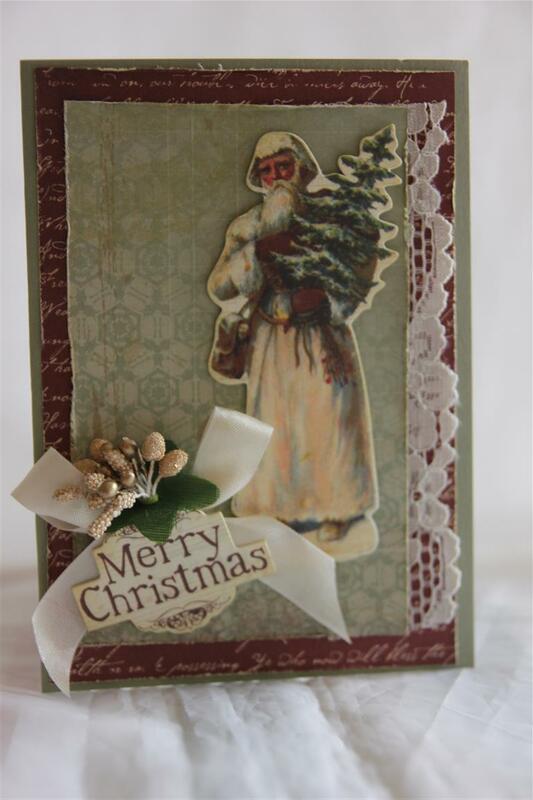 Here is the last in my Kaisercraft St. Nicholas series, and for this one I used the 6 ” pad for the backing pieces and the sentiment, and some images from the St. Nicholas collectables as the focus of the card. 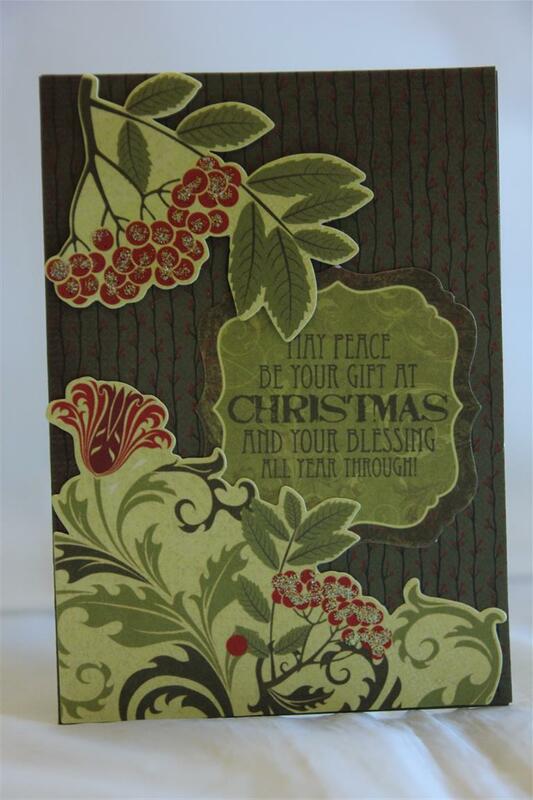 The cardstock is Stampin Up Always Avocado, and just a little Kindyglitz to highlight. I am officially on Holidays today,and have a host of things lined up to do in the cratf room, can’t wait to get started! Til tomorrow…. 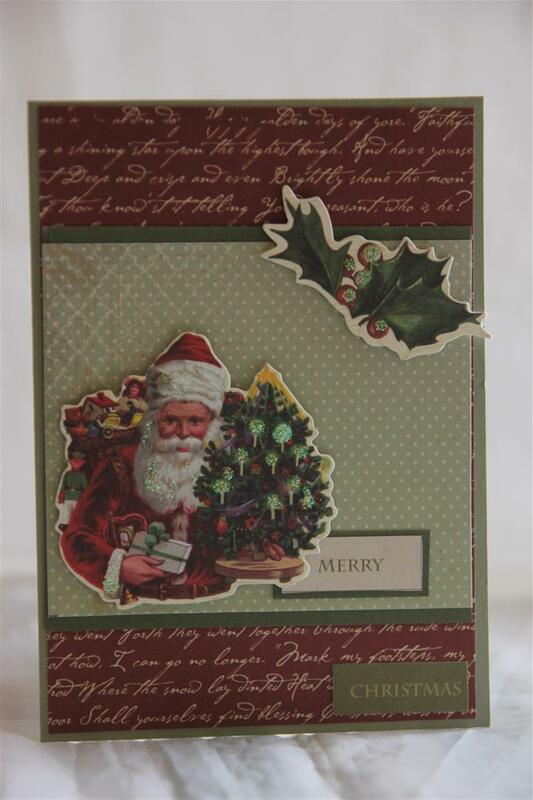 I only have 2 more of the cards i made with this paper ( Kaisercraft St. Nicholas) left to show so i thought we would finish this series and then move on. 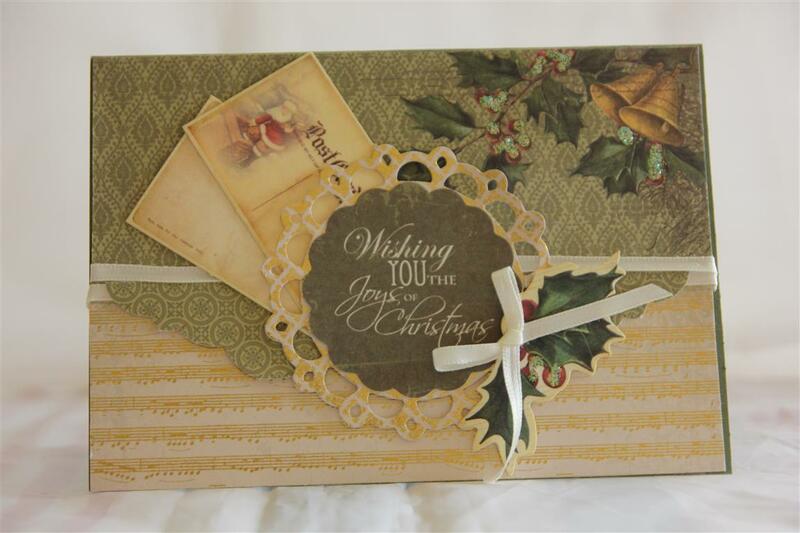 For this card i used stampin Up Almost Avocado cardstock, and the 6″ paper pad.I distressed all the edges with my Martha Stewart distresser, and added a length of ribbon . One more working day and then holidays .. yay…. Til tomorrow…. i hope you are all still interested in what I have done with this paper – I still have a few to show in this series, but after this one I think we will take a short break and come back to them – I know a few of you are using this paper just now so we will return early next week.I have used a sheet from the 6″ pad for the background, and sentiment, and fussy cut the frame image from a 12 x 12 sheet. 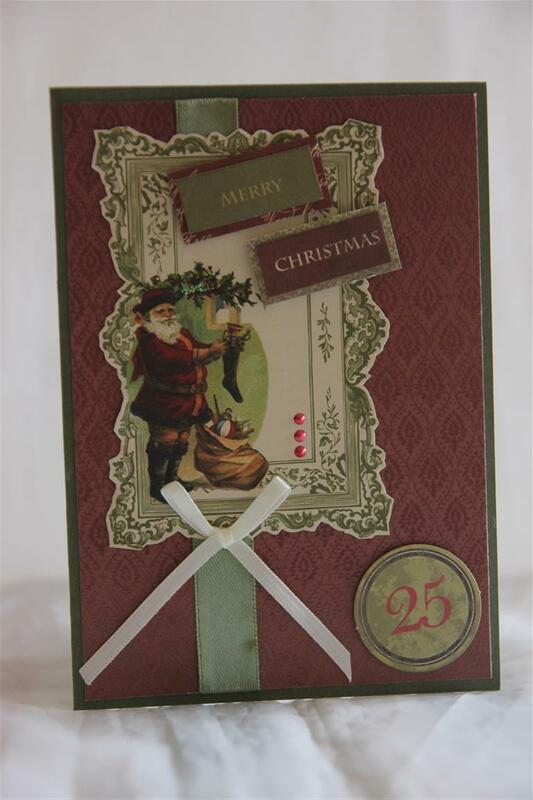 The “25” is from the matching collectables pack, and I added some ribbon and liquid pearls to finish. Til tomorrow…. 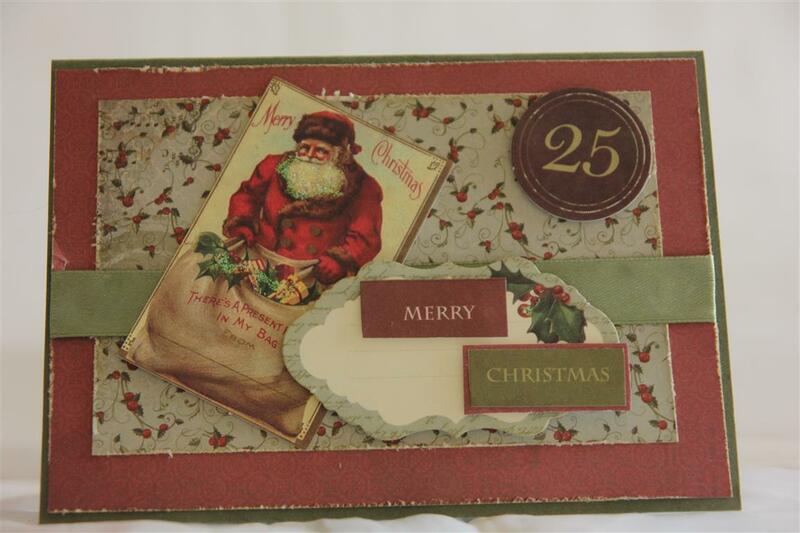 i went vinatge with this one – Papers and collectables from Kaisercraft St. Nicholas collection, and I distressed all the edges with my distressing tool, and added some lace a seam binding ribbon and a little bunch of xmas type flowers to finish. No crafting tonight as I have a work function, speaking of which I must make tracks…til tomorrow….